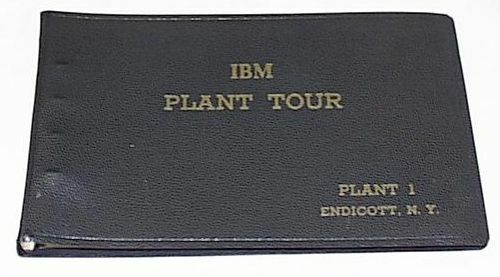 Attached note: From Tom Scannell, IBM Hartford (belonged to his father). Small ringed binder: detailed endicott plant tour. Approx. 80 pages, a picture on each page with a narrative on the facing page.